Scott Cornwall - Colour B4 Extra Strength. Please click and read this review instead as it's the up to date 2012 formula. Please forgive me if this is a little mediocre. It's currently just gone 02.22, yet I feel compelled to write a post before I sleep. I also expect this is going be a long one, sit tight. If you hadn't noticed (you'd be blind not to have), I've got super black hair. I don't like my natural colour and after I went back to dark after being blonde. I went to black. So, after having jet black hair for the past two years, I figured there was no hope for me ever having lighter hair. I'd seen a few people mention this Colour B4 stuff and I found it whilst I was mindlessly browsing Boots a couple of weeks ago. It's expensive, on first inspection at £11.99. But think of it like this, how much would it cost you to go to a hair dressers and have it stripped, and how much would that kill your hair? In the box you get an Activator, a Remover, a Buffer and a pair of gloves. 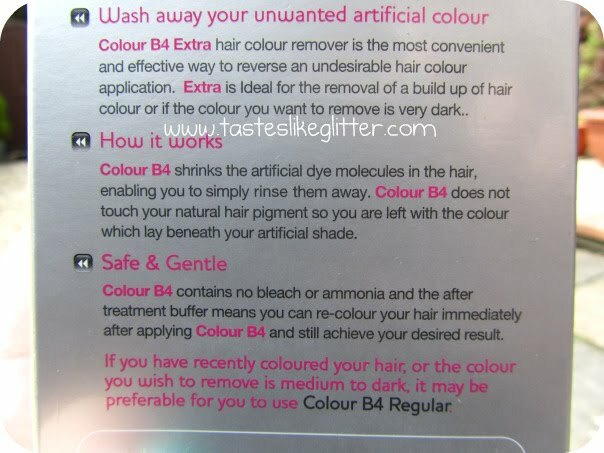 Effectively this is a hair dye, in terms of application and what not. You add the activator to the remover. Shake it up and apply it with the nozzle cap. You have to work quickly when applying it. The longer you leave the solution sitting the less likely it is to work. This has to be done in a warm room. 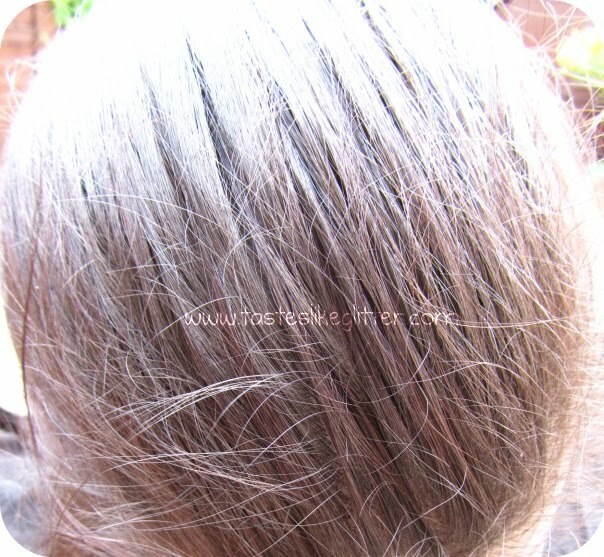 If cold air or a breeze gets to the solution, whilst it's on your hair, it will slow down the removing process. It smells just like apple conditioner and it looks a lot like it too. 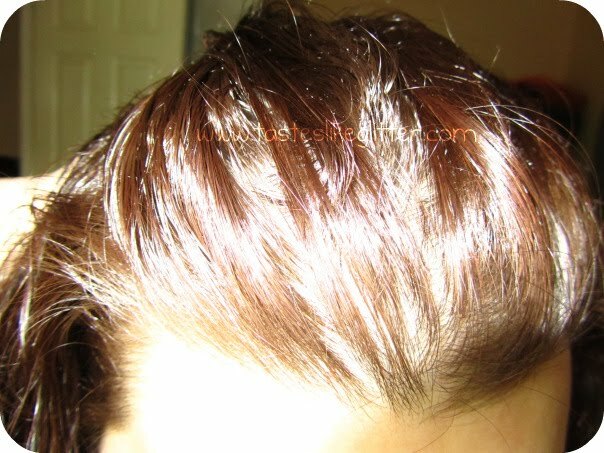 You rub it into the hair like you would any hair dye and leave it for 20 minutes. In which time you could play Tetris on your iPod or dance around your bathroom to GaGa ... I totally didn't do those things. It says it's best washed off in a shower because you have to rinse it for 10 minutes. Into the shower I jumped, expecting to wash away a ton of black water. I mean it's taking the dye out with it, isn't it? The water washed out clear. This is probably the main moment I thought to myself that I'd just chucked away the best part of £15. Anyhow, 10 minutes is a long time to be rinsing in the shower for, let me tell you that! Afterwards you apply Part C, the Buffer. Which is a bit like a conditioner. It gets rid of any dye molecules that are left and restores hair to a natural PH so once it's dry you can dye it again, if you so wish. Just like with the Remover, this smells like super sweet strawberries and it lathers up really easily. So you apply this, let it sit for a minute and rinse for 5 minutes. Then apply it again and rinse. HAI DER natural hair colour that I haven't seen for years. This is after just one box. I actually used another one after because there was still black in the ends but my hair is super long and thick anyway, so I was anticipating the fact that I might have needed to. That's amazingly impressive, no?! Considering I had over 2 years of black dye piled on my hair. 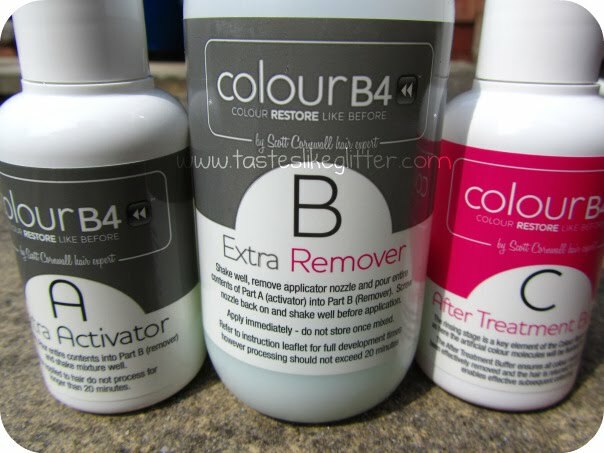 If you're sick of your hair and want to go back to your natural colour, or even go back to your natural colour so you can dye it a different colour, I wholeheartedly recommend this. I bought this on the assumption it wouldn't work and it shot down my expectations. 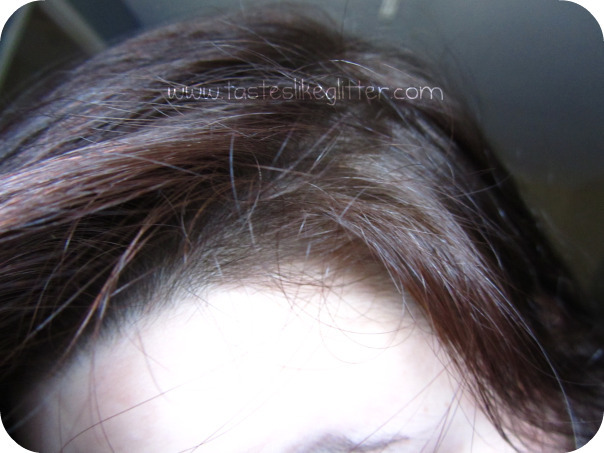 I ended up dying my hair red after I'd done this which you can briefly check out on my Flickr. But I'll do another post about that, I'm sure. So, have you tried this? Did it work for you? 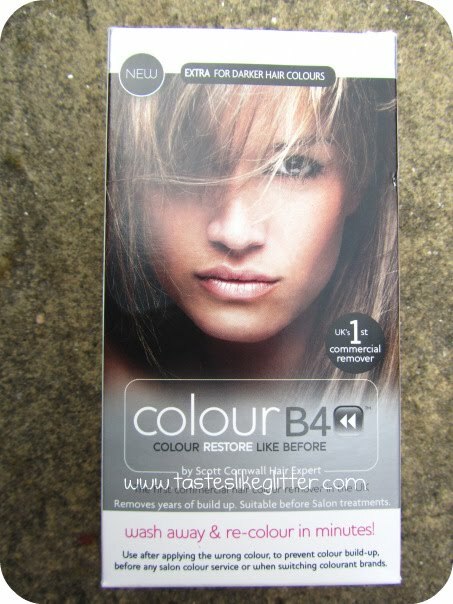 Or are you looking to get rid of your coloured hair and try this? Let me know your opinions! Urban Decay 24/7 Glide On Eye Pencil - Deviant. Conclusion - RE: Last Post. Purple Lust Eye Of The Day. Lush (Retro) Melomint Bubble Bar. Urban Decay 24/7 Glide On Eye Pencil - Honey. Happy Birthday To ... Me?! Return Of The Jed-Eye - Eye Of The Day.